Left Drainboard Advance Tabco 93-2-36-18 Regaline Two Compartment Stainless Steel Sink with One Drainboard - 58"
This Advance Tabco 93-2-36-18 Regaline prep / utility sink with one drainboard is made from corrosion-resistant 16 gauge type 304 stainless steel, which is more durable than 18 gauge. It features stainless steel legs and adjustable stainless steel bullet feet for optimum stability and flexibility. The Advance Tabco 93-2-36-18 Regaline two compartment stainless steel sink with one drainboard has an 8" high backsplash with tiled edge for simple installation, and two holes set on 8" centers to accommodate a faucet (sold separately). 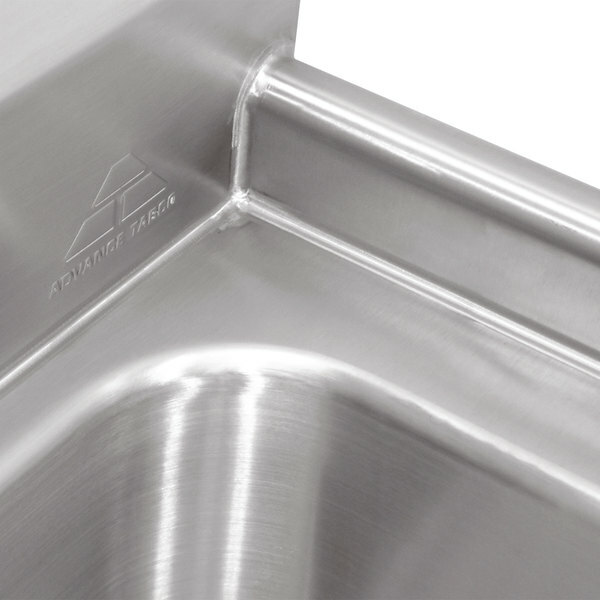 A 1 1/2" rolled edge on the front and sides of this sink helps contain splashes and overflow. 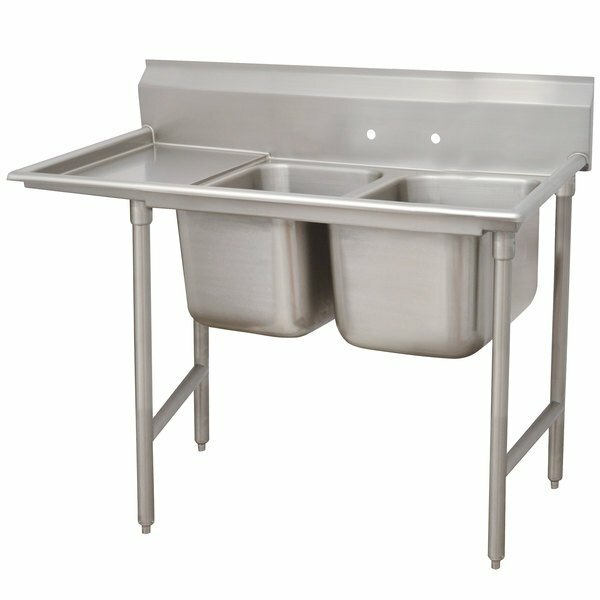 Advance Tabco 93-2-36-18 Regaline Two Compartment Stainless Steel Sink with One Drainboard - 58"
Advance Tabco FS-2-1620-18RL Spec Line Fabricated Two Compartment Pot Sink with Two Drainboards - 68"